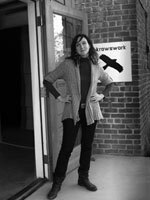 Jasmine Moorhead, owner and director of Krowswork, is the daughter of two artists, a photographer and a sculptor, Moorhead grew up in Oxford, Mississippi. She attended Yale and received her degree in art history. From September 1996 to April 1997 she lived in a small village in central Cote d'Ivoire, West Africa, studying pottery making. Moorhead has worked in numerous galleries and museums, including The Museum of Modern Art, New York, and the Dia Center for the Arts, New York. Her wish for Krowswork is that it provide an instinctual, intellectual, and poetic framework within which to examine the mediums of photography and video in a larger art/historical context. 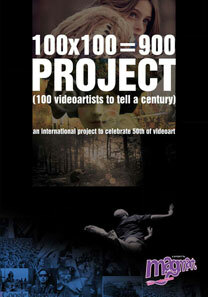 Krowswork is pleased to present Imagined Histories featuring photographs by Bay Area artist Naaman Rosen and a video program titled 100x100=900 (100 Video Artists to Tell a Century). Both Rosen and the artists in this extensive video compilation approach history-whether personal or shared-as an imagined construct, whose documentable facts are, in the end, secondary to the immediate emotions and personal associations surrounding the ideas about that history. This layering posits history as existing as much inside of a curious mind, as in real time and space. This program will be shown on two screens at Krowswork, with the entire 7 hours screened each day the gallery is open.